For more than a year, the stalwart veterans group has been working to reframe the debate as a question of not only moral and economic imperatives, but also patriotic ones, arguing that access to medical marijuana could ease suffering and reduce suicide rates among soldiers who return from the horrors of war. “We’ve got young men and women with PTSD and traumatic brain injuriescoming to us and saying that cannabis works,” Joe Plenzler, a spokesman for the group, which was established after World War I and has over two million members, said by telephone Wednesday. Mr. Plenzler said that veterans had turned to medical marijuana as an alternative to so-called “zombie drugs,” including opioids and antidepressants, that they said adversely affected their mood and personality, up to and including thoughts of suicide. In studies, cannabis has been shown to help alleviate chronic pain and reduce muscle spasms in multiple sclerosis patients. In 2016, the American Legion petitioned the government to relax federal restrictions on marijuana in two ways. The group asked Congress to remove the drug from the list of Schedule 1 narcotics — a class that includes heroin, LSD and other drugs that have “no accepted medical use” and a high potential for abuse — and reclassify it in a lower schedule. It also called on the Drug Enforcement Administration to license more privately funded growers to focus on medical research. Because marijuana is a Schedule 1 drug, there is surprisingly little rigorous research into its medical applications, as researchers have found themselves stymied by regulatory hurdles at federal health and drug agencies and short on a supply of federally approved product. The classification also means that veterans — many of whom rely on the federal Veterans Affairs Department for their health care — cannot get coverage for medical marijuana, even in the 29 states that have legalized it. On Thursday, The American Legion published a phone survey of over 800 veterans and veteran caregivers in which 92 percent of respondents said they supported research into medical cannabis for the purpose of treating mental or physical conditions. Eighty-two percent said they wanted cannabis as a federally legal treatment option. Though a Quinnipiac University poll released in April found that a record 94 percent of all Americans supported doctor-prescribed medical marijuana usage, veterans advocating research have run into the same roadblock as pro-cannabis activists around the country: the Justice Department. President Trump campaigned in support of medical marijuana and said that recreational usage should be a “state-by-state” issue. But his attorney general, Jeff Sessions, has been an outspoken critic of legalizing the drug for any purpose. Veterans groups draw a straight line from obstacles to medical marijuana research to the doorstep of Mr. Sessions. 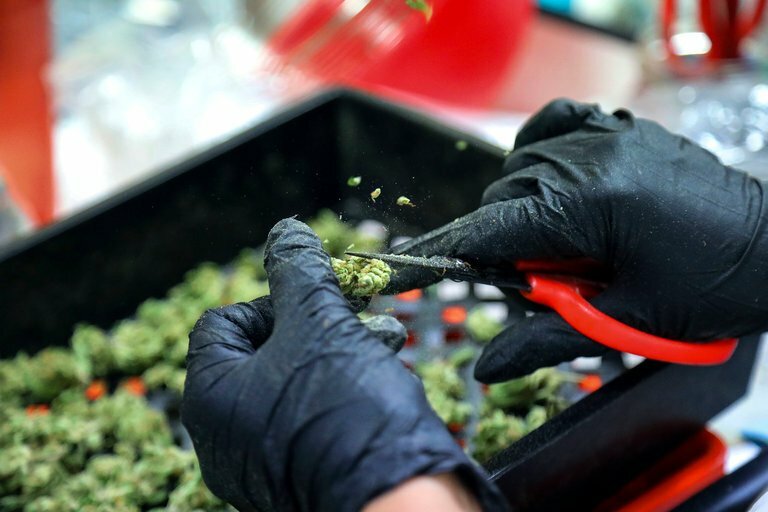 “He is putting politics, antiquated policies and his own personal opinion ahead of the health needs of veterans in this country,” said Nick Etten, executive director of Veterans Cannabis Project, referring to Mr. Sessions. A representative for the Justice Department declined to comment, but Mr. Sessions said during an oversight hearingwith the Senate Judiciary Committee last month that he was considering expanding the supply of research-grade marijuana. Veterans groups say the fastest and most effective way to help veterans get access to treatment is to simply reschedule the drug. That would automatically lift the most onerous barriers to research and allow V.A. health care providers to immediately prescribe marijuana in states where it is legal. But getting the necessary legislation through a fractious, conservative congress may still be a pipe dream. Representative Matt Gaetz of Florida is one of a growing number of Republicans who have joined Democrats in trying to formally recast the government’s stance on marijuana. With Darren Soto, Democrat of Florida, Mr. Gaetz was co-author of a bill that would bump the drug down to Schedule 3 — the same classification as codeine and anabolic steroids. “I think my political party became too committed to this antiquated dogma of the ’70s and ’80s,” Mr. Gaetz said, referring to a time when cannabis was widely considered to be a “gateway” to more harmful drugs.